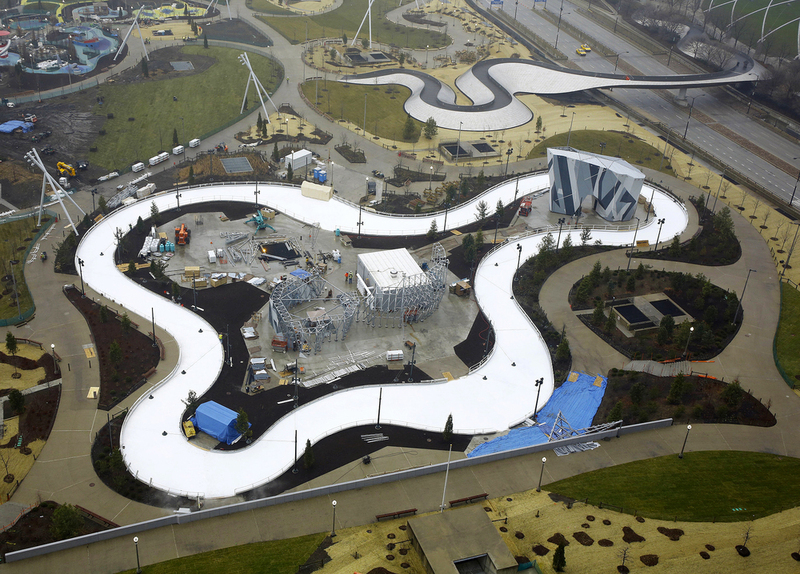 Chicago cut the ribbon on Maggie Daley Park's new Ice Skating Ribbon Trail on Saturday. We wonder: why have we been skating in circles for all these years? Now officially open to the public after two years of construction, the massive 20-acre, $60 million park just east of Frank Gehry's Jay Pritzker Pavilion has a 3-acre play garden, rock-climbing sculptures and a magical winding skating ribbon, formally named the J.B. and M.K. Pritzker Family Skating Ribbon. 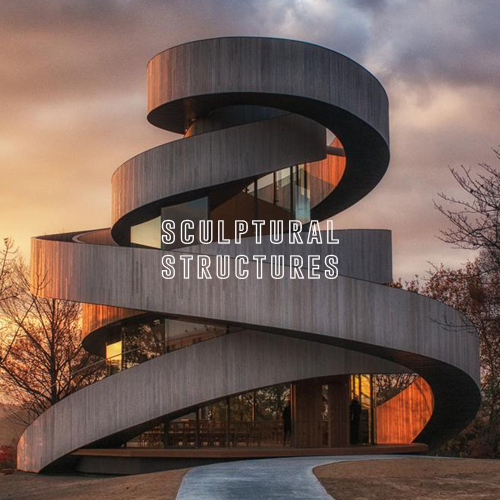 The skate trail is the crafty design of Brooklyn-based architecture firm Michael Van Valkenburgh Associates, a creative team who is well known for imaginative use of urban spaces. 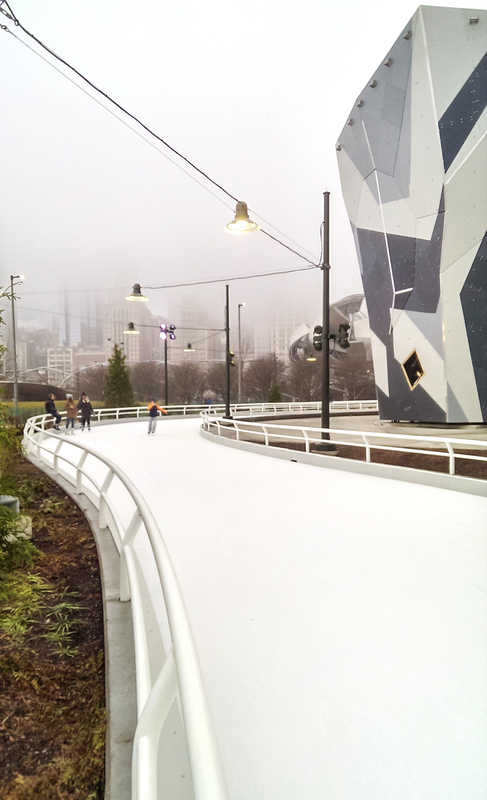 In the summer, the ice ribbon will be a paved path, allowing for circulation and access to the climbing walls. 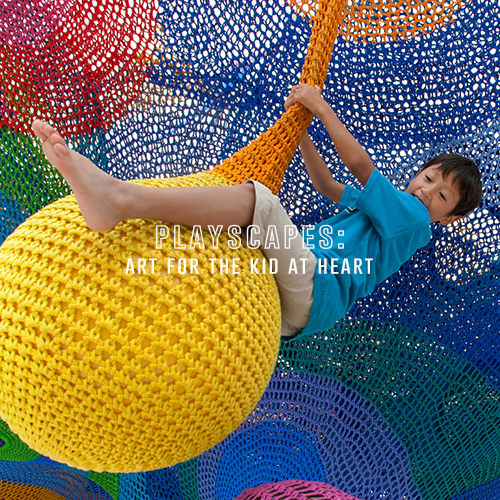 The play garden will provide both innovative play equipment and multifunctional areas for imagination-driven play, incorporating discrete themed zones, accessible equipment, and comfortable gathering spaces. For the full experience of the new park, take a stroll on Ghery's winding BP Bridge that lead park-goers from Grant Park to Maggie Daley. 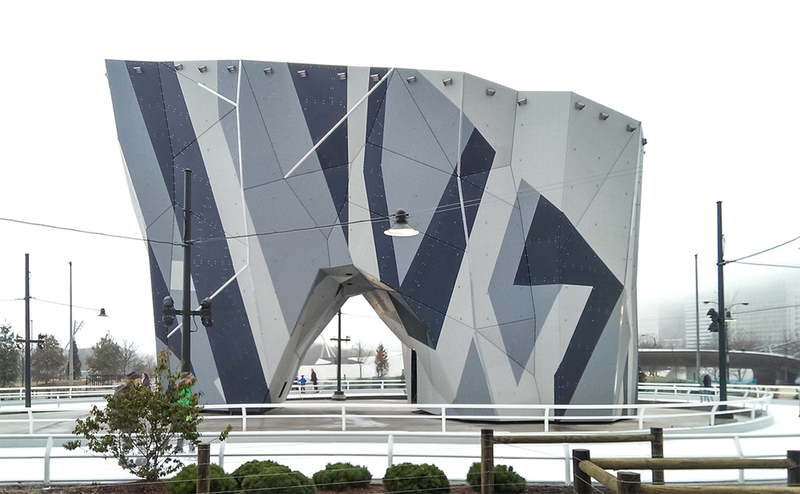 Although the park is still in a semi-state of construction, the elaborate, twisting skating ribbon and rock climbing wall embody just a tiny piece of joy that this wonder-park will bring to the community. The skate ribbon, rock climbing wall and whimsical play garden makes you want to sue your parents for cheating you of a childhood. Fact. Admission to the skating ribbon is free and skate rentals will be $12.